Dr. Matthew Hafen and Willow Bend Chiropractic have been serving Southern Utah and surrounding areas since 2005.Whether you’re a regular Chiropractic patient or this is your ﬁrst time seeing a Chiropractor you’ll ﬁnd that Willow Bend Chiropractic is exactly what you’ve been looking for. 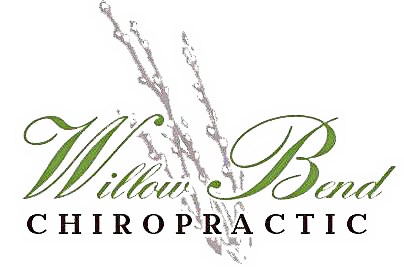 Here at Willow Bend Chiropractic we are dedicated to serving you. We want you to have the best chiropractic experience you have ever had. Patients seeking treatment at Willow Bend Chiropractic are assured of receiving only the ﬁnest quality care through the use of modern chiropractic equipment and technology. Our goal is to get your body working properly again, whether its just to sit at your desk without pain or to start exercising again, we can improve the form and function of your body. At your ﬁrst visit to Willow Bend Chiropractic, Dr. Hafen will explain to you how the science of chiropractic works, and give you a full evaluation to see if chiropractic care is right for you. If there is a good ﬁt, we can develop a plan of chiropractic care that is specific to your condition and health goals. 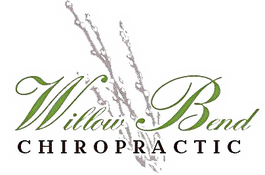 At Willow Bend Chiropractic we use a very unique protocol designed to provide rapid and long-lasting relief from pain. The protocols combine multiple non-invasive treatments, including Spinal Decompression and Class IV Laser Therapy. Decompression is an effective spinal rehab program for conditions of the spine mainly low back, with the focus on severe and chronic conditions. With no documented side effects. Best of all its non-surgical and pain-less!! How does it work? It removes pressure and creates more space for the discs and surrounding nerves. At Willow Bend we provide genuine support to assure all patients are comfortable during care. For 13 years our practice has specialized in providing safe and high quality service and customer satisfaction for thousands of patients and in doing so, has improved the quality of health in their lives. We hope you will allow us the privilege of helping you also.